My name is Stefanie . I am proud to be the founder of the Shorkie Club Of America and where Shorkies began here in the USA. We are the Only Shorkie registry in the world dedicated to the ethical development of the Shorkie. 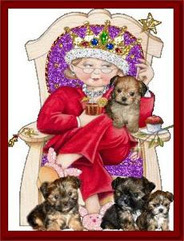 Its quite an honor to be referred to as the "Shorkie Queen" or the "Queen of Shorkie Puppies" from our Shorkie puppy parents to my fellow breeders. Our journey into the world of Shorkie puppies began over 20 years ago when we started the Shorkie breed here in the USA. Since that time I have founded the Shorkie Club Of America and dedicated myself to helping potential puppy parents and breeders world wide become more knowledgeable about the Shorkie breed. I consider myself a Master Shorkie breeder and I am 200% dedicated to the ethical development of the Shorkie Breed. My duty as a breeder, is to continually strive to produce Shorkie puppies that are healthy, sound, and conform to the Shorkie Club Of America breed standard. Planning a litter of Shorkie puppies is research in itself. From choosing a female and male to breed together, checking lineage, health problems, cross referencing prior litters health, vet costs, and much more. My duty as a breeder, is to continually strive to produce Shorkie puppies that are healthy, sound, and conform to the Shorkie Club Of America breed standard. Planning a litter of Shorkie puppies is research in itself. From choosing a female and male to breed together, checking lineage, health problems, cross referencing prior litters health, vet costs, and much more. My duty as a breeder, is to continually strive to produce Shorkie puppies that are healthy, sound, and conform to the Shorkie Club Of America breed standard. Planning a litter of Shorkie puppies is research in itself. From choosing a female and male to breed together, checking lineage, health problems, cross referencing prior litters health, vet costs, and much more. Please take your time when adopting a new puppy and do not fall in love with the first furry face you see even if they are one of ours! Adopting a new family member is a commitment to a LIFE and should done with much consideration and research. Even if you do not adopt a puppy from us please use our website as a point of reference to educate yourself and family as to what to look for in your new puppy and breeder. I am here to Protect and safeguard the Shorkie breeds health and longevity. I am here to Blend Gods beautiful art and science to produce the ideal Shorkie puppies. I am always setting goals towards bettering the Shorkie breed and learning as much as I can by staying open to new testing and information provided by professionals. I am always doing my homework knowing that producing greatness is not a matter of random good luck. But make sure you choose a reputable breeder!!!! So you can enjoy your shorkie puppy for many years to come! Master breeders are those unique individuals who make a lasting contribution to the improvement of their breed and for me it is the Shorkie! My promise to you as Your Master Shorkie Breeder is I am here to protect and safeguard the Shorkie breedâ€™s health, longevity and development . I am here to Blend Gods beautiful art and science to produce Shorkie puppies of Excellence. I am always setting goals towards bettering the Shorkie breed and learning as much as I can by staying open to new testing and information provided by professionals it the fields of genetic testing and my regular vet. I am always doing my homework knowing that producing greatness is not a matter of random good luck. Please check out our references and talk to our past puppy parents. Priceless Pups is a community that loves to support one another. 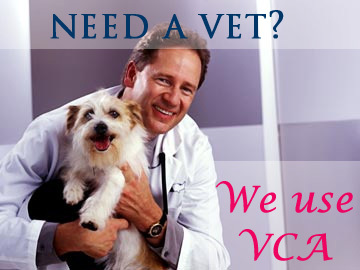 We have puppy parents world wide that will attest to who we are and what are puppies are all about . Enjoy all the babies and If I can be of any assistance please let me know by calling or filling out an adoption form. Priceless Pups became the leader in online education about Shorkie puppies through its many years of research and development of this mixed breed the Shorkie. Shorkie Puppies started right here over 22 yrs ago. Our research alone has become the foundation for many Shorkie breeding programs and breeders worldwide. We believe we are responsibly developing the best Shorkie puppies that can be found anywhere in the world. We have developed the only Shorkie standard that exists to his world. Raising top quality Shorkie puppies is our goal first and foremost backed up by genetic testing and breed standards that we strictly adhere to for the sake of the Shorkies we produce. 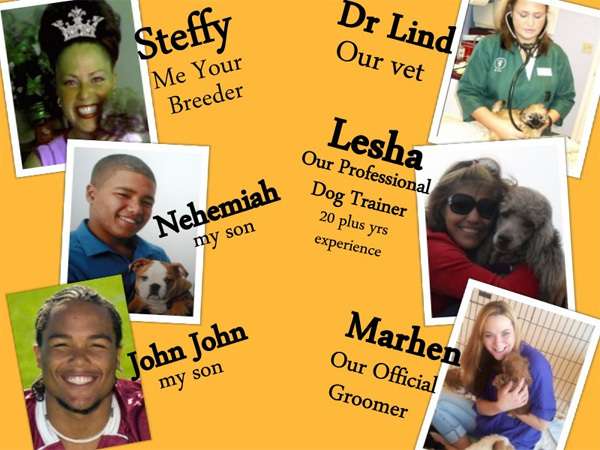 As Professional Shorkie Breeders we pledge to honor our commitment to the Shorkie breed by continuing to be passionate about the health ,genetic testing and well being of the dogs that are our family members. We do not operate a kennel facility and the Shorkie Club only accepts members that are in home breeders inspected by a licensed vet. We carefully screen our potential puppy parents who fill out our adoption forms and deal with them in a loving manner as you will be considered family members once you adopt a Priceless Pup. You will not find any false claims about the dogs we own nor the Shorkie puppies we have for adoption. We are not here to sell Dogs but rather to match the right puppy with the right family. We advertise our puppies to try and get as much info about the shorkie breed out to the web as we can by building a net work of our own websites that are full of information for the people to view. Myself and all the breeders of the Shorkie Club Of America raise shorkie our puppies in our living room with all the hustle and bustle of everyday life and around all of our human and our family members. We breed to the Shorkie Club Of America Standard and the Shorkie puppies are superior in quality and are created with love one generation at a time. Since the Shorkie Club Of America does not agree with Teacup or Imperial Shorkies and because of its 20 yrs experience we don't promote or recognize Teacup Or Imperial Shorkie puppies. day and continue raising the bar of health and breeding of Shorkie puppies.